Homepage » SENEGAL: Ngor,s beach in Dakar is (temporarily) garbage free. SENEGAL: Ngor,s beach in Dakar is (temporarily) garbage free. It is an operation to the credit of a group of divers called Club de plongée barracuda which has given a new face to the beach of Ngor in the capital of Senegal. To get rid of her garbage, she relied on 200 volunteers. The situation on the beach has been in the headlines of several national and international media for several months. This part of the city of Dakar, where thousands of tourists stay every year, was infested with waste. According to the Barracuda Dive Club, this waste had eventually spread to the bottom of the sea. Hence the intervention of this diving club of Dakar which made it possible to recover and collect 8 tons of waste. “The detritus recovered from the bottom by divers from the Barracuda Diving Club and firefighters from Malick Sy Barracks were brought ashore by the Ngor Island Surfer Camp team before being weighed and sorted under the supervision of volunteers from the International School of Dakar,” said the club. To make this operation a success, a total of 200 people, volunteers, picked up the garbage and sorted it before loading it into the trucks planned for the occasion. The scene took place as part of the celebration of World Oceans Day, which took place on Friday June 8, 2018. 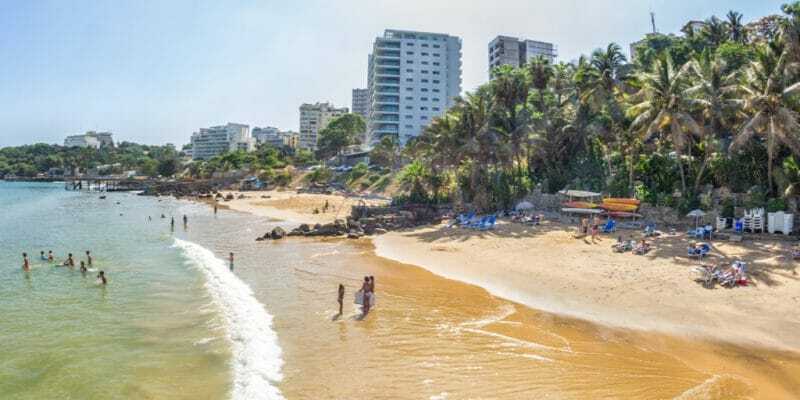 It is worth noting that this gesture was much awaited since the beach of Ngor is a popular meeting place for tourists and inhabitants of the city of Dakar who gather there during summer to cool off in the waves. But the effort is one-off and its effect limited, because the city of Dakar alone produces 1,500 tons of waste per day and more than 99,000 tons per year for a population of nearly 3 million inhabitants with some of this waste found on the beach. In this context, to perpetuate cleanliness on the beach of Ngor, how? The town hall organises monthly waste collection sessions. But this is not enough. The local dive club relies on it for awareness. This is why its members took advantage of World Oceans Day to raise awareness among Wolof-speaking persons of the usefulness of “keeping the beach clean”.